Cut like a professional with true zero turn performance and heavy duty ClearCut 42" fabricated deck for landowners with open lawn areas. High performance mower powered by a 21.5HP Kawasaki V-Twin Engine. The High performance cutting deck allows side ejection or optional mulch and collection capabilities for the finish you desire. 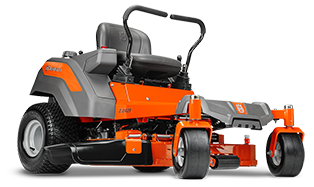 Performance and style hit the grass running with the all new Z200 Series Zero Turn Mowers. Cutting edge design, proven performance and new innovative features combine to make lawn maintenance an event instead of a chore.